Lambada flaperon ship mfg in 2007, SN 92-13. Category S-LSA; it can be used for commercial purposes including instruction. Only Flaperon S-SLSA in fleet. Hours: TTE 934 hours Airframe 1135 hours. A five-year Rotax maintenance was performed April 2016. Fresh Annual October 2018, New Wood Comp propeller September 2018. In Feb/March 2014 the plane was completely disassembled, and the gel coat was sanded off and the plane was painted 2 color polyurethane paint (white and a metallic blue trim lines) which is in like new condition. 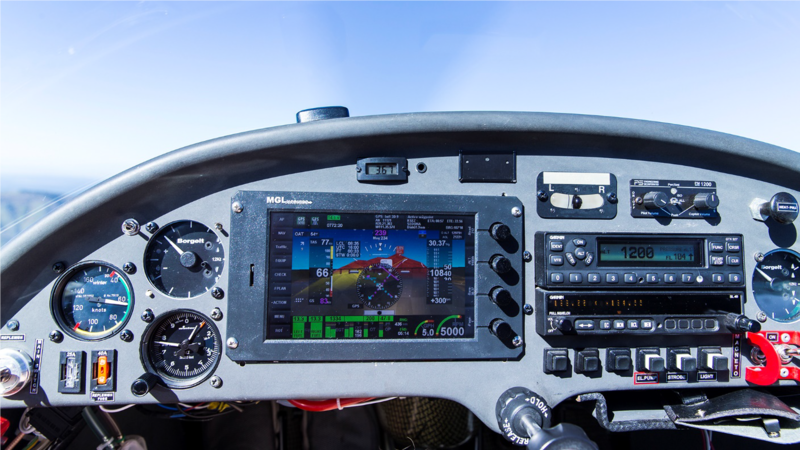 The control panel has a Borgelt variometer and slave display on passenger side; air speed indicator, precision small altimeter, liquid compass, Garmin GTX 327 Mode C Transponder, Garmin Radio SL 40 and PS 1200 intercom. MGL Avionics iEFIS 7” Discovery lite. The ship has two main batteries with a selector switch and recharge cables installed for external charger. Having two main batteries enables you to have confidence you will get an engine restart if you have been on one battery for an extended period of time in soaring (engine off) flight. Two Mountain High units for Oxygen Pilot/Passenger and O2 bottle. (wingtips), and led landing light. All new fuel, oil, coolant lines, new sensors, April 2016. New landing gear 9/2015. Brand new custom seat covers in cockpit. All logbooks, invoices and history. This ship was built before Urban Air subcontracted out the tail assemblies which was followed by two breakups in high speed flight (aircraft occupants all saved by ballastic chute).